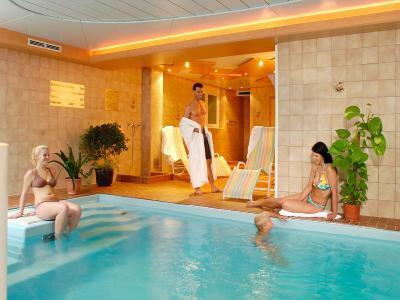 Lock in a great price for Sporthotel Schieferle – rated 8.7 by recent guests! Smiling and helpful staff. One of the rooms was really big and very comfortable. Very close to the tram line and this is really helpful to reach city center. Old charm of Mutters. Family run and fun leading ladies at the helm. Beautiful stay. I traveled with my folks and we got a family room. Was big enough and the beds were very comfortable. The location of the hotel was really good. Although I didn't use the Tram but the station was very near to the hotel. The staff at the breakfast and reception were really friendly and helpful. Specially Nicole who was pretty much running around in the kitchen and also serving us breakfast. There were just 3 odd restaurants in the town. The Italian restaurant is recommended. It was very picturesque- travel into Innsbruck was a breeze on the tram. The staff were excellent. 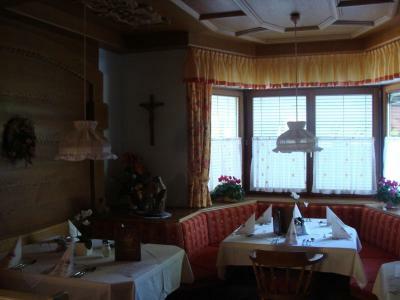 Greate location: near Insbruck and the main roads. Very good breakfast. We received guest tickets that give discounts for some attraction in the region and free ride on 5 different cable cars in the region (saved some money for the family). There is a nice small swiming pool. Staff are very kind, friendly, helpfull and professional, especially the young ladies at the Receiptoin " Nicole and Brigitte". 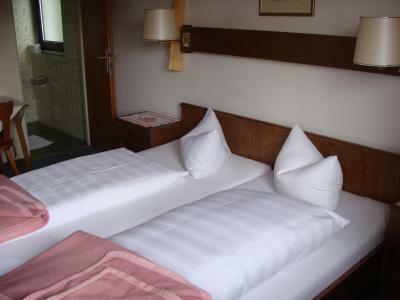 Hotel is very clean, located in a very nice and beautiful area. Close to the local Tram station. Clean, quit place, friendly staff, location close to nature. 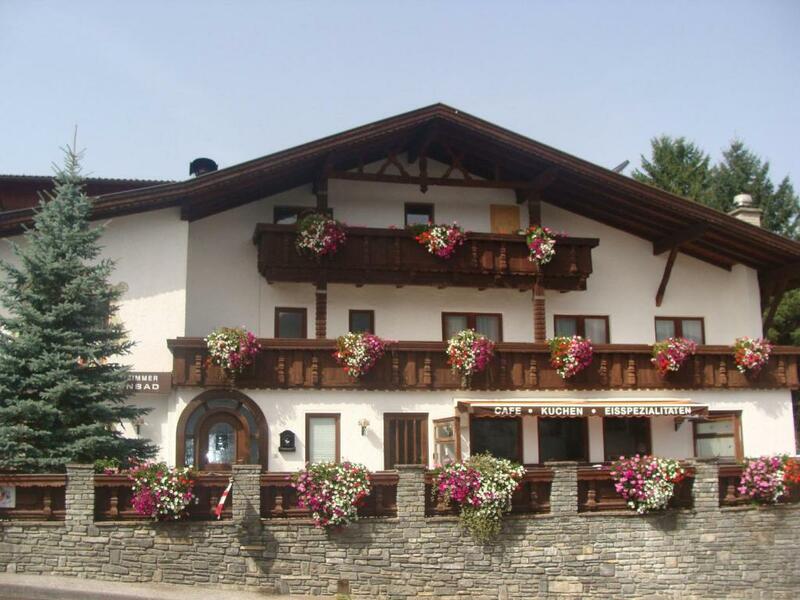 Sporthotel Schieferle This rating is a reflection of how the property compares to the industry standard when it comes to price, facilities and services available. It's based on a self-evaluation by the property. Use this rating to help choose your stay! 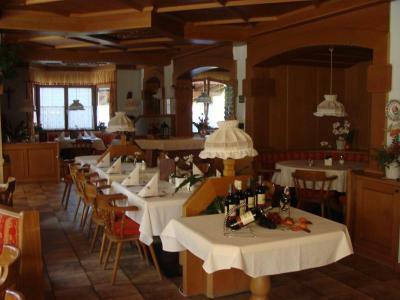 Located in Mutters, Sporthotel Schieferle is located 1,650 feet from the Mutterer Alm Ski Elevator and 5 mi from Innsbruck. The hotel offers free WiFi, free parking, and a sauna. Several restaurants are within a short walk of the hotel. 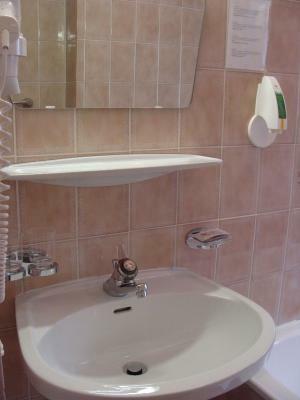 All rooms provide satellite TV, a bathroom, and a work desk. Some rooms also have a balcony with views of the surrounding mountains. Sporthotel Schieferle is an ideal starting point for hiking, mountain biking and skiing. The Mutterer Alm elevator gives access to many hiking trails. The public swimming pool in Mutters and the Natterer Lake can be used free of charge in summer. 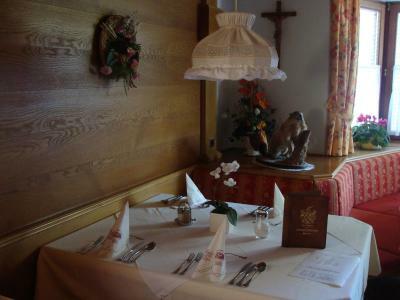 The Nockhofweg Stop of the Stubai Valley Train is located 350 feet from Schieferle Sporthotel. The train leaves for Innsbruck every 30 minutes. In winter, Mutters is surrounded by 9 ski areas with a total of 168 mi of slopes, serviced by a free ski bus with a stop in front of the hotel. Mutters is a great choice for travelers interested in nature, hiking and mountain walks. 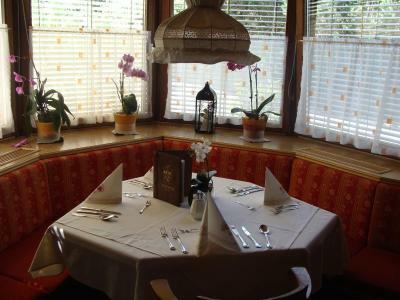 When would you like to stay at Sporthotel Schieferle? 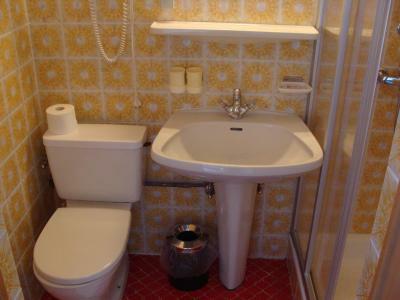 This room features satellite TV and a private bathroom with a shower. Please note that this room is located in the annex and does not have access to a elevator. 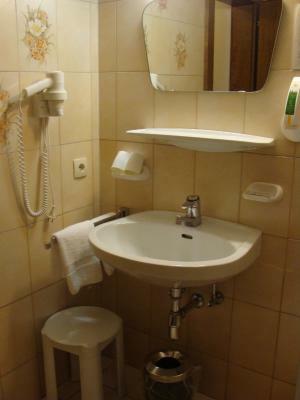 This spacious room features a balcony, satellite TV, and a private bathroom with a shower. 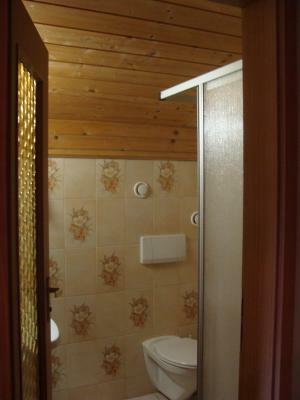 Small room featuring satellite TV and a private bathroom with a shower. This room comes with 2 bedrooms and a south-facing balcony. This room comes with satellite TV and a private bathroom with a shower. These rooms come with a private bathroom with a shower. Hotel surroundings – This neighborhood is a great choice for travelers interested in nature, hiking and mountain walks – Check location Great location - show map Guests loved walking around the neighborhood! House Rules Sporthotel Schieferle takes special requests – add in the next step! Sporthotel Schieferle accepts these cards and reserves the right to temporarily hold an amount prior to arrival. Really frendly and helpful stuff/owners and people general!!!! Staff were excellent, friendly and very helpful. Great location with fantastic local transport links. There was no hot water kettle or tea/coffee arrangement in the rooms. We had to go to the kitchen to get hot water in a flask. In the deep winter this was a painful experience. The connection between two rooms had a ramp. This created a step from one side of the connecting room. We had bumped into it many times as it is not visible due to same color carpet covering. This could potentially damage our leg if not careful. The atmosphere, the services, the location, the warmth of the hosts! Breakfast was fabulous! They offered us 2 excellent evenings for Christmas Eve and Christmas day! Will not forget! The pool was cold but the spa was a nice touch. As was the heated ski room. I liked everything about this hotel. My stay at the hotel was fabulous and exceeded any expectations I may have had. The staff were exceptionally helpful and the location was excellent. There is a tram located within a five minute walk which runs every half hour for a 25 minute ride into Innsbruck which is really convenient. I look forward to my next visit. The room is maybe a bit due for renovation and there is a bit of a lack of natural light due. Very flexible and kind stuff provided us with an option of late check-in and Early checkout. There was absolutely nothing we didn't like, we will stay there every time we stop in Innsbruck. It's a pity that they have closed the restaurant as the food was very good. The hotel is excellent, the position is magnificent. 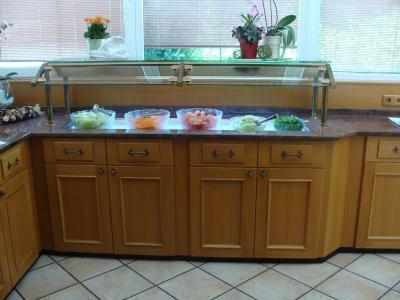 The staff are very friendly and helpful and the breakfast was plentiful. We prefer being out of the city as long as there is a good public transport service. 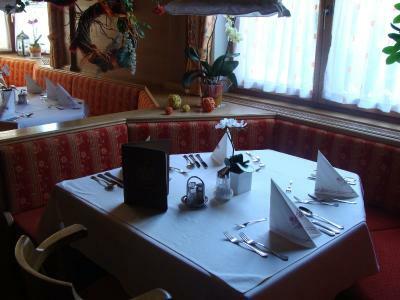 The tram that runs down to Innsbruck is ideal as you can enjoy the wonderful view without any hassle. 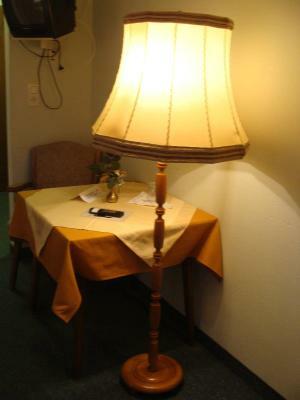 The owner of the hotel seemed arrogant. We didn't like how she treated the employees working in the hotel. 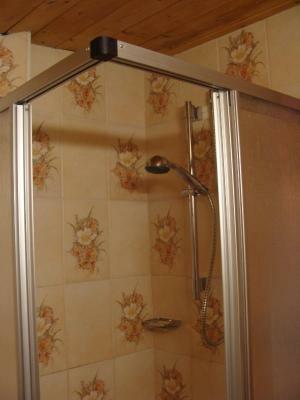 Hot water situation in the bathroom/sauna room can be improved further. We missed a good restaurant within the hotel for Lunch and Dinner.